I have always loved the idea of designing simple pieces of furniture that are both useful and beautiful. 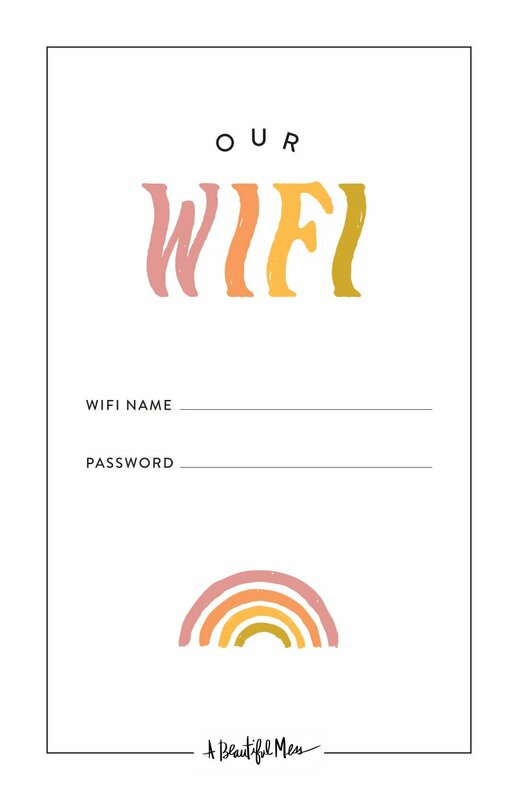 So when I came across this DIY, I was determined to make a version of it for our bedroom. We have always lived in older homes that are big on charm and short on closet space, so I’ve had most of my wardrobe in a variety of makeshift closets. Our current master bedroom has a roomy closet built into the alcove of the second story bathroom, but it’s far removed from the laundry room and has acted more like an easy-to-access attic for storing extra bedding and out-of-season clothing. We’d been resorting to piling clean clothes, folded or not, onto the loveseat in our bedroom rather than making the extra trip to the back of the bathroom to hang things. I know, first world problems. I took the basic concept of the design from the DIY I saw and added a back panel on one side, not only to provide more stability to the structure, but to make it a little more interesting. I added a simple round mirror at eye level and have thought about adding a few small shelves and possibly hooks below it for accessories. I also switched out the wooden clothes rod for a copper pipe because everything is better in copper! Now that we have an attractive wardrobe in our room, I’m excited to keep things off the couch! Having a new piece of furniture in our space totally changes the feel of things with its height and simplicity. It feels like the cousin of a display piece in an LA boutique. I’ve significantly paired down my wardrobe in the last year despite officially jumping on the capsule wardrobe bandwagon, but it’s still more than what I styled these photos with. I feel like the open concept will help motivate me to keep things looking tidy, but it’s also roomy enough that even with everything I own hanging up, it won’t be overcrowded. I can also see myself using this in my studio to hang my woven wall hangings and weaving supplies. You can easily customize this tutorial to be even more utilitarian with more shelving or hooks. Sand each piece of wood with your electric sander or regular sandpaper. If you prefer to stain or paint your panels, this is a good time to do that if you don’t mind doing some touch ups at the end. You can also wait until the end if you prefer. I chose to leave mine natural because I love the look of light wood right now. Step One: Find the center of the short end of one 3/4″ x 20″ x 6′ panel and make a mark 1/2″ down from your short edge. Then make a mark 1/2″ down from the same edge in each corner about 1″ from the long edge. This will mark where you’ll be drilling pilot holes for your screws. Repeat with your second 6′ panel. Step Two: Measure about 20″ up from the bottom of your 3/4″ x 20″ x 6′ panel and make a mark in the center. On the same 20″ line, make a mark 1″ in from each long edge. These will be the marks for your pilot holes for your center shelf. Make a third set of marks 4″ up from the bottom of the same panel so that you have one in the center of your board at the 4″ line and then one on each side that is 1″ from the long edge. This is where you’ll drill the pilot holes for your bottom shelf. Step Three: Mark your 3/4″ x 20″ x 6′ panels with an ‘A’ and a ‘B’ in pencil somewhere so you can match up your measurements. It might seem like they’ll all fit, but sometimes just 1/8″ difference between holes on different panels can leave you frustrated down the line. Lean Panel A against a wall and use the pilot holes from the bottom row as your template to mark the pilot holes for the bottom shelf. Step Four: Mark your pilot holes on the short end of your bottom 3/4″ x 20″ x 36″ panel. Mark your bottom shelf as 3 and then add an A after it so you know it belongs to the A side. Next, use the marks from the B panel to mark the opposite edge of your 3/4″ x 20″ x 36″ bottom shelf. Mark that side with a 3B so you can remember which side it belongs to. Continue the same pattern for your center shelf and top shelf. Step Five: Measure down 5″ from the center mark on the top of each side panel and make a pencil mark. This will be your clothes hanger hole. Attach your 1″ drill bit and carefully drill a hole on each panel. Step Six: Switch your drill bit to the other size and drill your pilot holes on the two 3/4″ x 20″ x 6′ panels. Step Seven: Drill your pilot holes in the short edges of each shelf. Step Eight: Place the panel marked ‘A’ on its side on a flat surface and then place your bottom shelf up against it so that the correctly marked edge is matching. Screw your brass screws in one at a time but don’t tighten until all three are in place. Repeat this with the center shelf and then the top shelf. Then place the other side panel (Panel B) on the other side, making sure the marked side you used when you marked your holes for the shelves is facing the shelves. Screw everything together. Step Nine: Decide which side you want your back panel on, and then make sure the edges are flush with the bottom and the side. In the photo, I’ve marked all of the places you’ll pre-drill more holes to secure this panel to the wardrobe frame. This will add another level of stability to your piece. Step Ten: Drill your pilot holes so that you are drilling straight down into the 3/4″ edge of each panel. Be sure not to drill at an angle or you’ll bust through your wood. Then use your drill to slowly screw in your screws with the appropriate Phillips head attachment or use a screwdriver. Place your pipe through the holes and mark the length you’d like to cut it. Remove it and cut it down to fit using your pipe cutter. I cut mine down about 10″ so that it stuck out enough on each end to act as a hook. It will fit loosely through the opening, but unless you have a dance party while choosing your outfit each day, you shouldn’t have to worry about it falling out. The next step is adding on any extra customizations such as a mirror or hooks. I used Gorilla Glue to attach the mirror directly to the wood, but you could also hook one on or DIY a cute hanging mirror. Use the outer ends of your copper pipe to hang bags, an industrial looking light, or a hanging plant. You could also attach a larger full length mirror to the outside of your wardrobe depending on your space arrangement. The most fun part is filling your new wardrobe with your favorite pieces! This is a great woodworking project for those of us who don’t have the space for many woodworking tools since everything is designed around the selection of pre-cut wood available. Also, for those that may ask, this project came in at about $140 using the 20″ wide, pre-cut boards from a large chain hardware and plumbing store. To shave a little off of the cost, you could do a narrower version using the 16″ wide, pre-cut boards and a wooden dowel, but it would mean your garments might peek out the front and back of your wardrobe just a touch. Credits//Author: Rachel Denbow. Photography: Rachel Denbow and Janae Hardy. Photos edited with A Beautiful Mess actions. 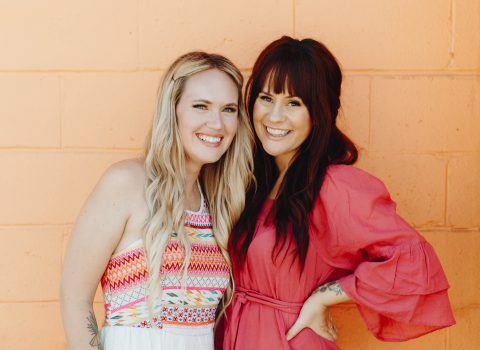 A Beautiful Mess is a lifestyle company focused on creating happiness through a homemade lifestyle, founded by sisters Elsie Larson and Emma Chapman. 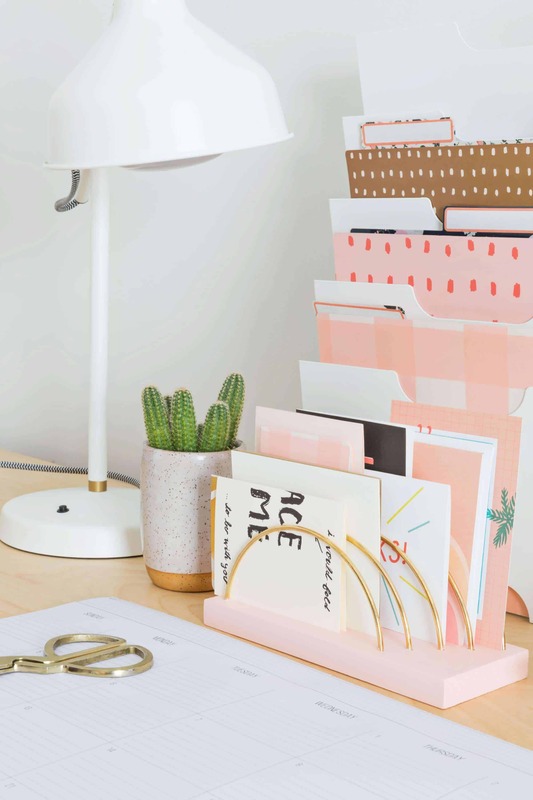 Sign up for our newsletter and receive a FREE password organizer + spring bucket list. This would look so good and be super useful in my small NYC apartment. What a creative idea! And I am just dying to know…..do you sell your wall hangings/weavings? They are absolutely gorgeous. This is great! I would love to see more furniture/wood working projects like this that you don’t need to have a lot of specialized tools for. It’s a little less intimidating for those of us just starting out DIY building projects. Keep ’em coming! This is great Rachel! I especially love how the copper pipe looks against the timber. This is so cool! I just moved into a small house and I think closet space is going to be an issue. This will be perfect to get more space! Plus, it looks awesome. Thanks for the tutorial. I love this idea! If I didn’t have a slanted ceiling I would totally try this out! I mean I guess I could cut the top off at a slant at the perfect height. It looks so modern and chic especially for just being plain unstained wood! Love this post! I really like the copper rod and the light on the side! Maybe you could treat the wood with something so it looks darker? Wonderful project! So cool! You could also hang hooks for smaller things on the outside walls. I really like this one! Also, thanks for pointing out Kathleen Roggemans website: the other things she builds are also quite cool! Wow, I love this one! No doors, so you can show your beautifull pieces;-). Simple, yet stylish, love it! This wardrobe would fit perfectly into a Scandinavian style bedroom (my favorite!). Such a great idea, I only wish I thought of doing something like this in my bedroom before I bought all my furniture! Anything that only involves pre-cut wood always sounds great to me! It’s great how customizable this is – any paint or stain could work, hooks, etc. Very nice! Love it! Gorgeous and simple!!! I love this idea! You could really easily make this work in any room with any decor style! That copper pipe is inspired, definitely fits the shabby chic vibe! Such a straightforward make as well, no one would have an excuse not to try this. Well presented! This is great! I like the bulkiness of this piece. Usually DIY wardrobes look a little flimsy, but this looks like it will stand the test of time. Way to go! I love how simple and industrial this looks! 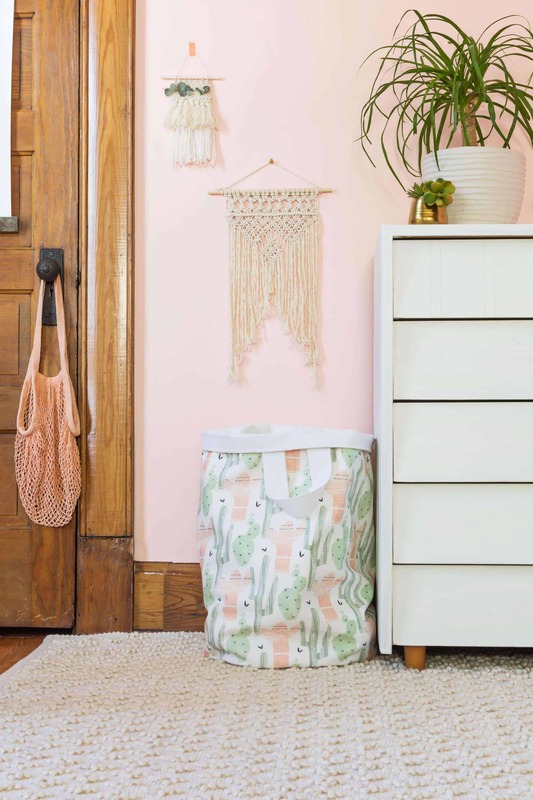 It’s the perfect way to have closet space in a tiny place, without spending a ton on a piece of furniture that takes up too much room anyways. I really love this! This is a great wardrobe, modern an easy diy even for amatures. you know,for the amount of time,effort and money,you could simply build a 6 x 3 closet out of 2×4’s and sheetrock. Loved it.. Want to try the same… Anyway thanks for sharing the article. I think I might do this as a wall at small vacation house. If I put a wall of ply on the back and hooks on that it would do double – or is it triple – duty. I would also paint part to blend into my color scheme. Great idea. We have been living in an apartment in an old house with lots of charm… and no closets. After a year of a wall hung rod just hanging out in my bedroom, I decided I couldn’t take it any longer and we built this for ourselves. Made it 4 ft wide to fit a couple’s worth of clothes and stained it with weathered oak by Minwax. Note to other DIY-ers. Deciding what will be the front of each plank and measuring all pilot holes from there (1″,10″,19″) avoids flaws from minor inconsistencies in precut wood’s length. Love the copper pipe. It’s gorgeous and keeping it open (no doors) helps our tiny bedroom feel bigger. Thank you for the wonderful inspiration!